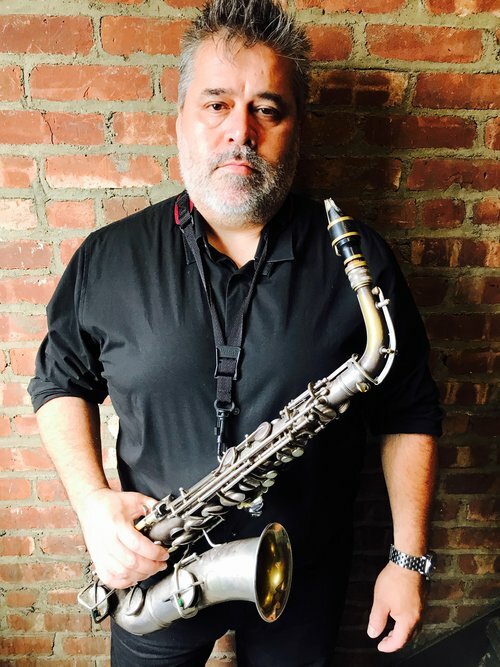 Multi-instrumentalist and composer Oscar Noriega has lived in Brooklyn since 1992. He has worked with Lee Konitz, Anthony Braxton, Gerry Hemingway, Dewey Redman and Paul Motion. He is currently performing with Tim Berne’s Snakeoil, Endangered Blood (Chris Speed, Jim Black, Trevor Dunn) and coleads the Mexico-inspired Banda De Los Muertos with Jacob Garchik. He plays alto saxophone, clarinet, bass clarinet and drums.